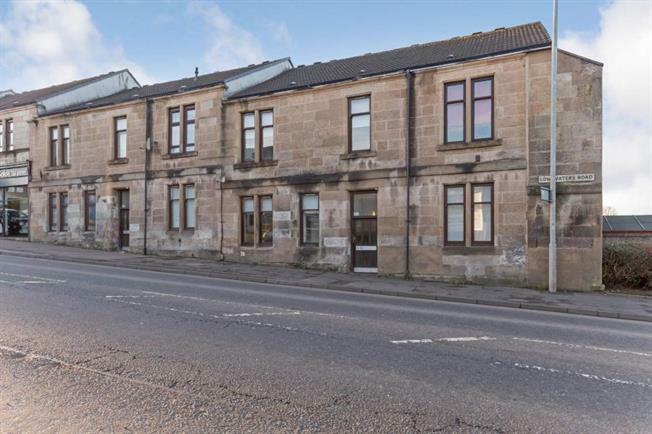 1 Bedroom Flat For Sale in Hamilton for Offers Over £50,000. Sandstone flat located close to local amenities and transport links and is sure to appeal to a wide range of buyers. The property comprises of welcoming hallway with all main apartments leading off. The bright and airy lounge is located to the front of the property. The impressive size master bedroom is located to the rear of the property. The study is located off the lounge which could be utilised as small bedroom or nursery. The galley kitchen has a range of units again with aspects to the rear. Completing the accommodation is the internal shower room having a two pice suite with additional corner shower. Furthermore the property has gas central heating, double glazing and is conveniently located for local amenities and transport links.